As promised, I’ve uploaded the video of the Voice Recognition Lab feature of PhoneZune. VRL makes it easier and more accurate to launch your song collection using your voice. It also enables the app to work with your voice by letting you decide how it should perform its recognition. The point of VRL is to give as much control to you, as the user, so that you can really tailor PhoneZune to suit you. 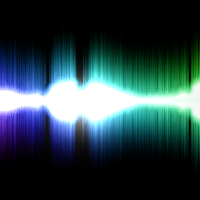 I’ve just written a short post on an upcoming tool that will be included with PhoneZune. It’s aim to is to try and ensure that anyone can pick up PhoneZune and use it, regardless of what their accent, pronunciation or any other vocal idiosyncrasies. If development goes will this weekend, I’ll be releasing a video next week. You can read the post here. Using Voice and WP7 to Control Zune! Update – I’ve written a post outlining the plans for this project. This is currently a proof of concept project I created and would love to get feedback. I love creating unique things and this is something that I’ve been using everyday. Simply say the name of the song and it will start playing. You can also watch the song’s music video simply by using your voice and WP7. Let me know what you think! 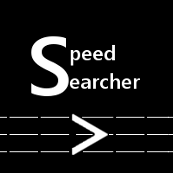 Speed Searcher significantly cuts down the time it takes to search the web. With an efficient shortcut method, you can be searching Google, YouTube, Wikipedia (and others) in just a few taps. Want to search Wikipedia quickly? Instead of opening up Internet Explorer, typing http://www.wikipedia.org, waiting for the page to load and then searching, simply fire up Speed Searcher and type ‘w’ followed by your query. Easy – and fast! Free Songs Alike App Now Available! Verion 1.1 – Bugs fixed. Songs Alike makes it quicker and easier for you to discover new songs based on songs you like. Simply enter the artist and the title of a song you like and Songs Alike will return other songs you may like, which you can then preview and buy on Zune Marketplace. You can also find out more information on Google, in a couple of taps. The Amazon Kindle app was one that many people were looking forward to since it was announced. Good news – it’s now available :D. Click here to download it. HTC are on a roll at the moment regarding their apps. They recently updated their ‘HTC Hub’ to display the weather on a live tile on the home screen. Today, they’ve released their own YouTube app which is far superior to the standard YouTube app. It’s now easier to browse and search for videos as well as watching the videos in full screen and high quality. It’s also possible to jump to a particular location in the video by clicking on the time-line (just like on the YouTube website). We’ve all had those times where we need to leave the computer in the middle of an interesting web article. Well, Chrome to WP7 alleviates that pain by allowing you to easily send that website from your brower to your Windows Phone 7 device – for free! You need to be using Google’s Chrome browser for this to work (hence the name ;)). Simply download the plugin from developer Dave Amenta’s site and install it (literally takes a second). Then grab the free app from the Zune marketplace. Using it is extremely easy. When you find yourself wanting to send the link to your phone, simply click on the Chrome to WP7 icon in the Chrome browser and it will send it to your phone. You can then click on the item from within the app to continue browsing on the phone. What’s more, you can also highlight page on a text, click the icon and have that sent over to your phone as well. A neat little touch is that if the app isn’t running, a push notification is sent to the device. 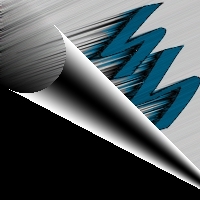 Cool app, and free! Check out more information on Chrome to WP7 over at Dave’s site.